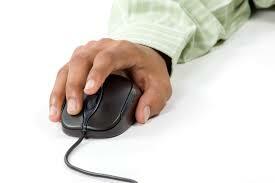 The practice of pay per click (PPC) is a hugely effective internet marketing method. Essentially, it enables you, as the website owner, to make sure your site is found by search engines and, thereby, by your customers. However, you need to know what you’re doing. This is why it is recommended to enlist the services of a PPC management company, so that you can see a return on investment. Through PPC, you can get a whole lot of traffic to your site. This is why, if done properly, it is incredibly cost effective. You don’t actually pay for advertising with PPC, but you bid on keywords or phrases that are relevant to you. Your bid is what you pay if someone actually clicks on a link and goes to your website. And since you can set your budget, you know that you will never pay too much. The flat fee for each click is what makes PPC so important. If you don’t manage it properly, however, it can become incredibly costly. You have to see it as an entire process that starts even before you place your keyword big. You have to come up with a good strategy that includes your budget. Think of monthly to daily budget to have a really clear picture. Once you have actually reached that budget, no more ads will appear that link to your site, so you don’t end up paying for things anymore either. Of course, you won’t get found as easily anymore either then, so you need to decide whether it is worth putting in more bids or changing your bids. The financial calculation behind this is quite complex. You need to understand what each customer’s average value is. If, for instance, you put a $1 bid in, and a customer purchases an item on which you only make a $0.50 profit, then the $1 bid will not have been worth it, as you will still be down overall. You need to make sure, therefore, that the average profit you generate from each purchase is higher than your bid, so that you continue to be a profitable business. In so doing, you may also see a return on investment, since you will attract more customers to your site through PPC advertising. Another reason why you must work with a professional management company is that they can keep track of your campaign. They can see which keywords are and are not worth paying for and can adjust your bids to make sure you get the most out of it. This is also why it is so important to calculate your daily budget, as previously mentioned. Management companies will constantly make changes to your campaign, identifying your particular strengths and making sure you have the biggest chance of getting that return on investment. Once you get to grips with it, you can choose to manage your own PPC campaign. However, do be aware that it takes not just a great deal of understanding, but also a lot of time. Hence, you may want to keep working with a management company. Do You Have These 6 Essential Entrepreneur Traits?